This article marks the launch of a new initiative by the ACCA Poland office that aims to showcase the best employers we have the opportunity to cooperate with, which not only support ACCA members and students, but where the ACCA qualification and its standards are deeply ingrained in the company's learning and development culture and way of working. Three Infosys experts with high level experience in finance were the first to tell us a bit more about their company in the below interview. Why do people like to work at Infosys? What brings them to work and motivates them? 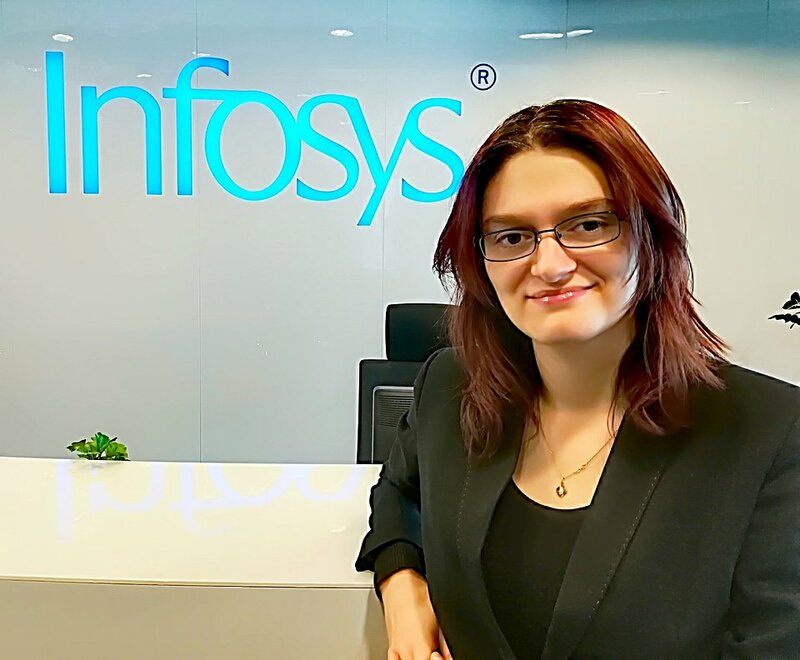 Monika Majzner: When I started my journey with Infosys, I didn’t fully know what to expect and in what way it can drive my future career. This company helped me to find my professional path by offering many opportunities accelerating my development. What motivates me every day? Of course my co-workers and the team atmosphere which encourage constant cooperation, out of box thinking, culture of sharing and new challenges requiring stepping out of comfort zone, which further our personal and business growth. Additionally, every moment of my work gives me the chance to grasp a wider knowledge in new technologies and use in practice the knowledge received from ACCA courses. For me personally, the best reward is the application of our knowledge that brings delight to our customers. With what part of its business profile does Infosys stand out when compared with its competition? What are the advantages? Monika Majzner: From my point of view, the biggest differentiator of Infosys is our new strategy ‘Navigate your next’. At its foundation lies the continuous focus on learning to acquire new BPM skills in areas such as Analytics, Intelligent Automation, Artificial Intelligence or Blockchain, together with expansion of our accounting expertise. The levers enabling that encompass personal development plan based on which specific trainings, courses are identified. They are available in classroom and our internal and external platforms. It includes also revolutionary ACCA mentor programme for each student, which provides remarkable support in obtaining ACCA certification and bestows the benefit of cooperating with and learning from the ACCA members. This allows us to carry our customers into the future and deliver a high level of business performance. The Approved Employer status demands that a number of requirements are met by the company. How do those requirements fit into Infosys financial competencies’ development plans? Does Infosys provide any additional benefits or in any way go beyond the standard requirements? 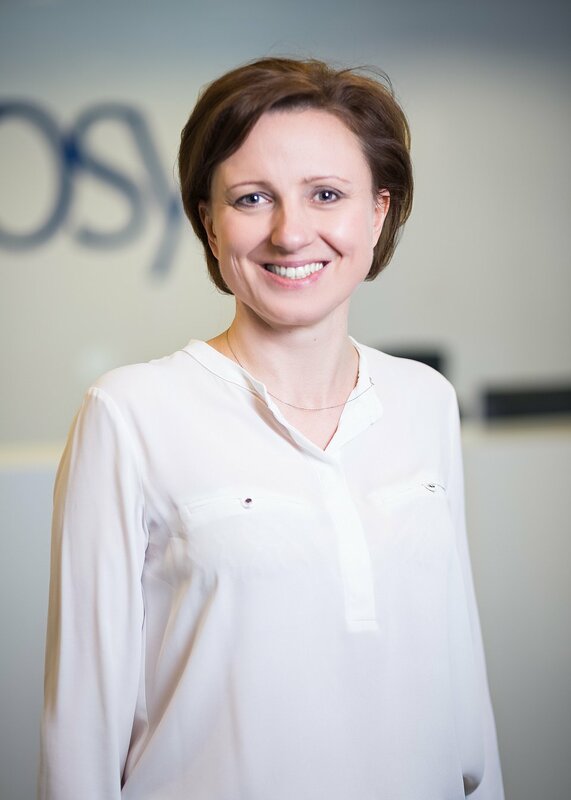 Anna Tumidajewicz: As an accredited ACCA partner (Approved Employer in Professional Development and Trainee Development), we had to meet many formal requirements, but they were inherent to our goals of employee’s development within Infosys. As we are providing advanced services to our clients, highly qualified professionals are crucial for the organization. We pay a lot of attention to provide them with opportunities to enhance their skills. I personally believe that ACCA is giving a thorough knowledge and broadens the perspective for those who are working in F&A sector. I often encourage others to undertake the ACCA certification, though I am aware it is not an easy path. Thus in 2016, to support our ACCA students, within Infosys in Lodz we have implemented the ACCA Mentoring Programme that we are proud of. Each student participating in this initiative has been assigned to a mentor, with whom they prepare their Personal Development Plan in ACCA to cover the Practical Experience Requirements and make sure it corresponds with personal development paths within Infosys. Mentors were chosen from experienced high-level managers, which are also active ACCA members to maintain high standard of this support. What value do ACCA members and those on track to obtain the qualification bring into the company? What makes them stand out as finance professionals? Magda Kierste: ACCA Students are people with an open mind, a broader understanding of finance processes, willing to take challenges and not afraid of the changes that the current business world imposes. Being able to understand the current market trends and developments in the area of technology, they are not only driving many improvement initiatives such as use of data analytics and RPAs, but are also able to understand our clients’ challenges and propose solutions that address the dynamic requirements. They are also finance experts providing consultancy in complex areas such as newly implemented IFRS standards. Finally, they are creating the future of our organization and making the difference in transformation from Business Process Outsourcing to Business Process Management, from GOOD to GREAT, giving the remarkable experience to our clients. How, and why, does Infosys invest in young people? Ania Tumidajewicz: Nowadays we witness a market disruption and we are committed to drive our clients through this change. Therefore, Infosys is focused on reskilling and development of its employees. This strategy aims to prepare our employees for being able play new roles in business life. We observe that employees are very much interested in the available possibilities for enlargement of their professional skillset. Within the reskilling program we monitor development paths and run available training programs in three categories: domain (F&A, Tax, Supply Chain, HRO, etc. ), behavioural (e.g. coaching, project management, storytelling, creativity & innovation) and other critical skills (such as analytics, automation, Big Data, Design Thinking, Machine Learning). We already see excellent results of gaining new competencies by our teams and practicing them on clients’ assignments, e.g. RPA implementation, spend analysis or IFRS implementation. The company is also open for all bottom-up social initiatives that give a lot of project management, planning and stakeholder influencing development opportunities for our people. Recently we noticed that for young employees, social activity becomes at least as important as working environment and work itself. They are very much engaged in supporting responsible business activities and demonstrating social and pro-ecological sensitivity. We are very proud of these initiatives that bring a lot to the local community and environment. Young people are full of willingness to help others in need, therefore we believe that they will change the world we all live in. We already have many of examples, such as: Dream Catcher initiative, which fulfilled kids’ dreams within “Mam Marzenie” foundation; contributing in Business Run organized aiming at helping people without limbs; charity auctions organized in the Company and many others. What are the opportunities and challenges connected with the arrival of the young generation in the company? Ania Tumidajewicz: As per service nature, the vast majority of our workforce is young. It is visible that those who are currently at the initial stages of their professional career path, have the need of being successful faster. In many cases it may trigger their creativity, encourage to implement and use advanced technologies and driving continuous development. What is more they put focus on work-life balance, hence we need to tailor the offer using modern media that enable achieving fast results. To facilitate reskilling and development of people, apart from classroom trainings we use e-learning and technology-advanced mobile platforms more often. The good example is LEX – next-generation learning solution for accelerating people’s skills – which we offer to our employees (and externally - Wingspan). Moreover, as we are not focusing only on technological skills, we offer a bunch of other benefits such as flexible working hours, language trainings, activity cards, entertainment clubs, etc. Chartered Certified Accountant (ACCA) since 2002, with over 20 years of experience in the area of Banking, Auditing and Outsourcing, including 6 years in Auditing and 14 years on different managerial positions in the Business Process Outsourcing. She has significant experience in people and process management and achievements in leading transitions and running Internal Controls and Technology implementation projects. Currently responsible for capability & solution design for F&A and supply chain services in Lodz DC. Chartered Certified Accountant (ACCA), with over 9 years of experience in the field of internal and external audits, currently leading Audit and Internal Control Centre of Excellence (horizontal role) across all engagements in Infosys Poland. Responsible also for consulting projects in the area of International Financial Reporting Standards (IFRS) and internal controls. ACCA Student, Senior Delivery Lead in Finance Centre of Excellence at Infosys. 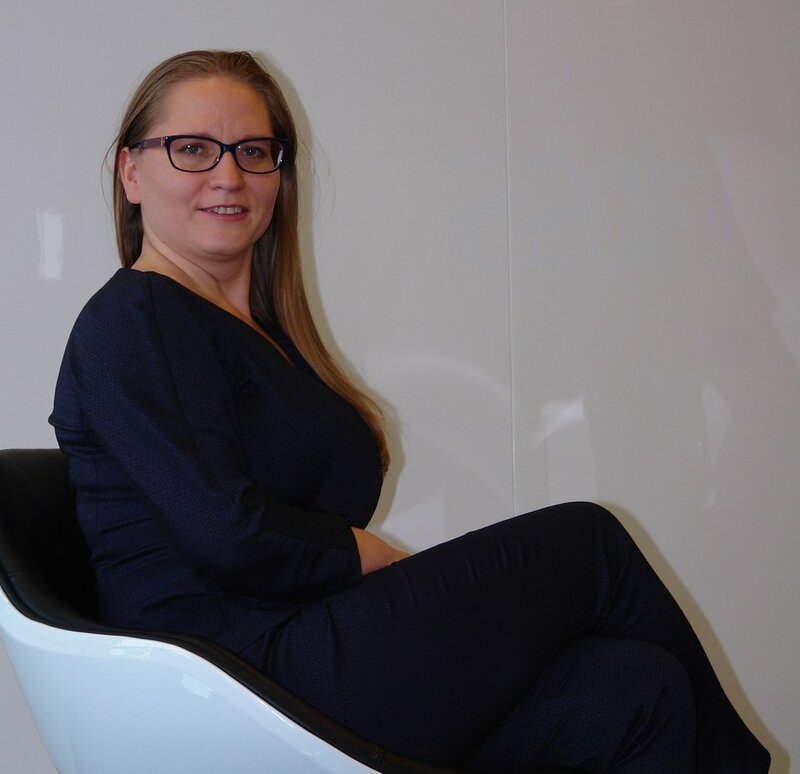 With 7+ years of experience in the area of Finance & Accounting across client and advisory roles, she is also a Technology Consultant supporting Operations in business transformation initiatives.